FAST HAS NO AGE LIMIT. 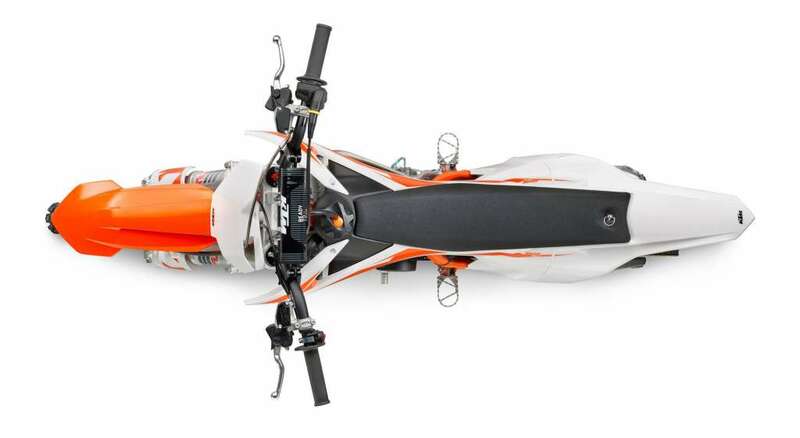 • WP AER 35 air-sprung front fork is incredibly light and makes adjustments for rider size and track conditions easy. • Sleek bodywork that provides excellent ergonomics for the ultimate in control and comfort. • NEW graphics to match the full-size SX models. • The advanced frame is made of lightweight, high strength chromium molybdenum steel and offers superb handling and precise cornering. 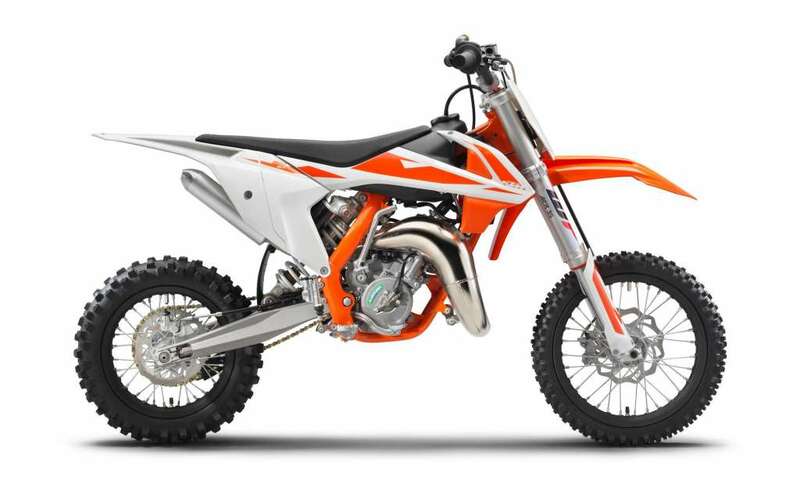 • The 65 SX benefits from cutting-edge 2-stroke technology and an easy to shift 6-speed transmission with a hydraulic clutch. • A WP PDS monoshock guarantees optimum damping characteristics and outstanding stability. • The shock offers adjustable compression and rebound so the rear suspension can be set up precisely for the rider and track in no time. 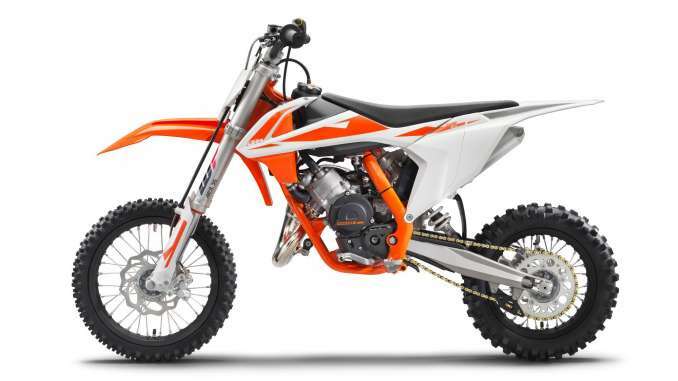 • The 65 SX is fitted front and rear with massive four-piston calipers that grip lightweight Wave brake discs. 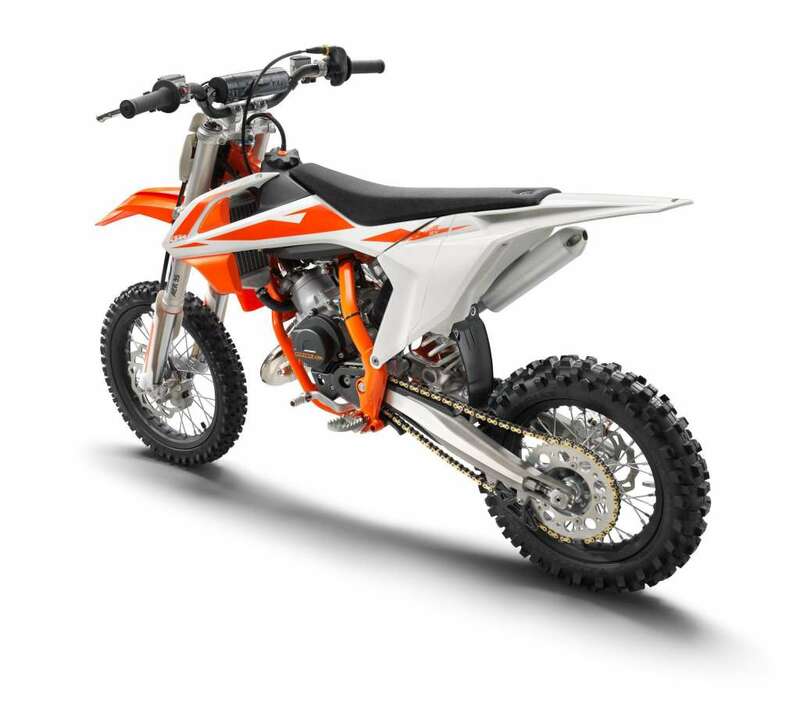 • Like the big KTM factory racers, the 65 SX has super lightweight, black anodized, aluminum rims providing the highest strength and durability. • MAXXIS knobby tires provide superb grip in any terrain.